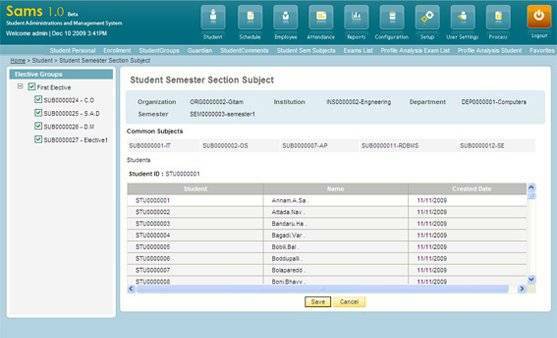 Find out how Student Administration Management System solution can be implemented at your organization/ Institution by contacting us today ? 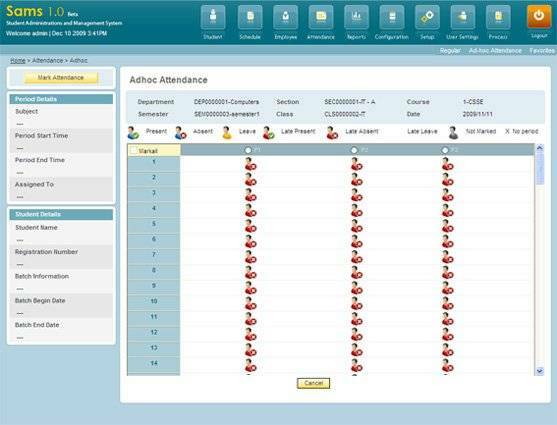 Student Administration Management System is a web based comprehensive software application to track student enrollment, attendance, grade book, performance metrics and other student-related information requirements. 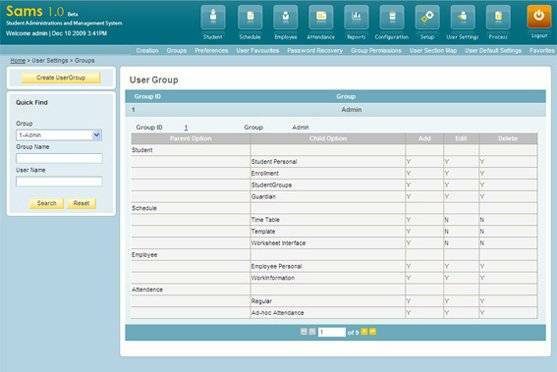 With integrated workflow management, this totally scalable application can accomodate and manage requirements of a school, college, university or groups of institutions/schools. 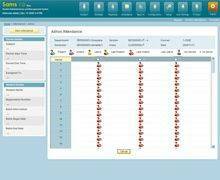 Student Administration Management System facilitates access to detailed student information online in real time --teachers can take attendance, conduct examinations, enter assessments, measure performance metrics, manage student semester graduation and curriculum standards. 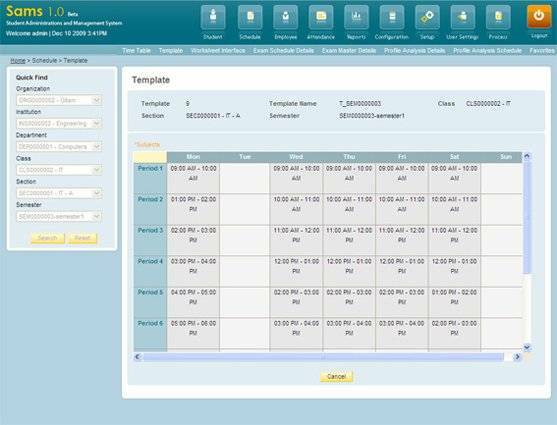 The sophisticated time table module of SAMS allows the creation of the most workable & efficient Student, Teacher and class schedules across sections, courses, departments, institutions. 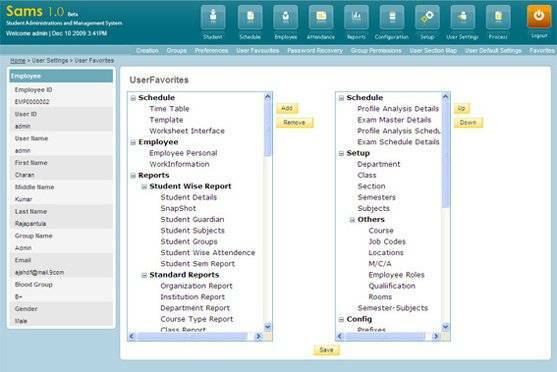 Schedules are accessible by department, course, section, semester, classroom, teacher, or student. 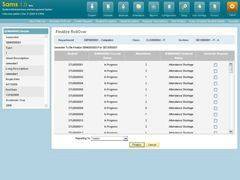 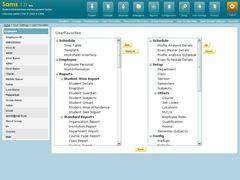 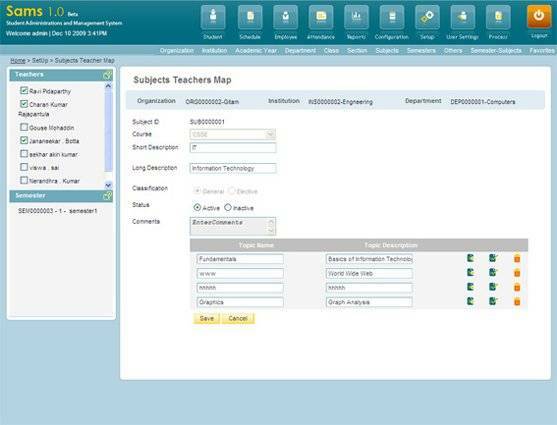 Essentially important features and time reducing provisions are student group mapping with the bulk update process to move students across groups automatically and the conflict matrix screen that helps you resolve scheduling conflicts such as teachers, elective groups, availability of class rooms quickly and easily during time table generation. 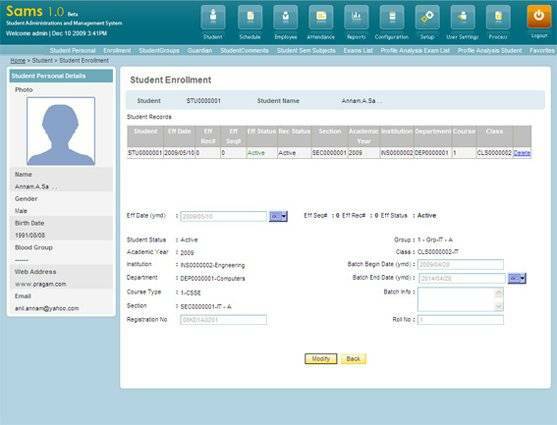 With all the available student demographic, education history, course, curriculum specific information & guardian data SAMS makes student enrollment smoother, faster and efficient. 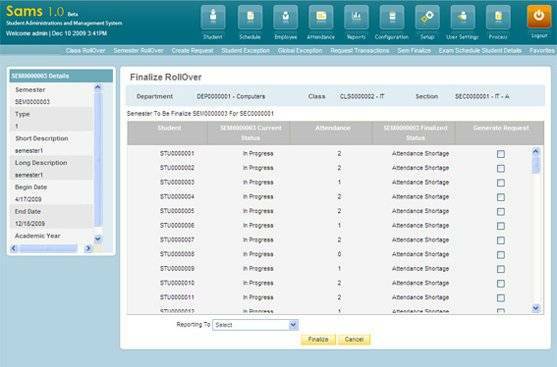 With prior-enrollment data and flexibility to store future enrollments, users will only have to handle exceptions, greatly saving their time while minimizing errors.